The bridge connected the English Town to the Irish Town and in Irish was referred to as Droichead Maol Luimnigh – The Bald Bridge of Limerick. The word bald suggests that, originally, the bridge was without parapets. The old bridge was reputed to be owned by the Earl of Shannon, whose family name was Boyle. 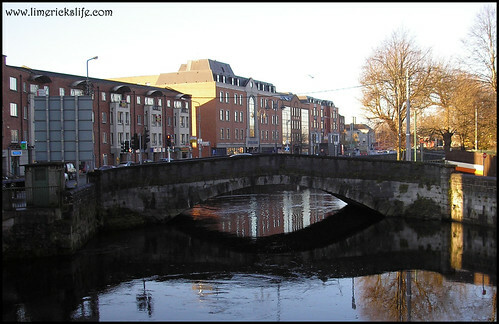 Hence the bridge could very well have been called “Boyle’s Bridge”, corrupted later to “Baal’s Bridge” or “Ball’s Bridge”. 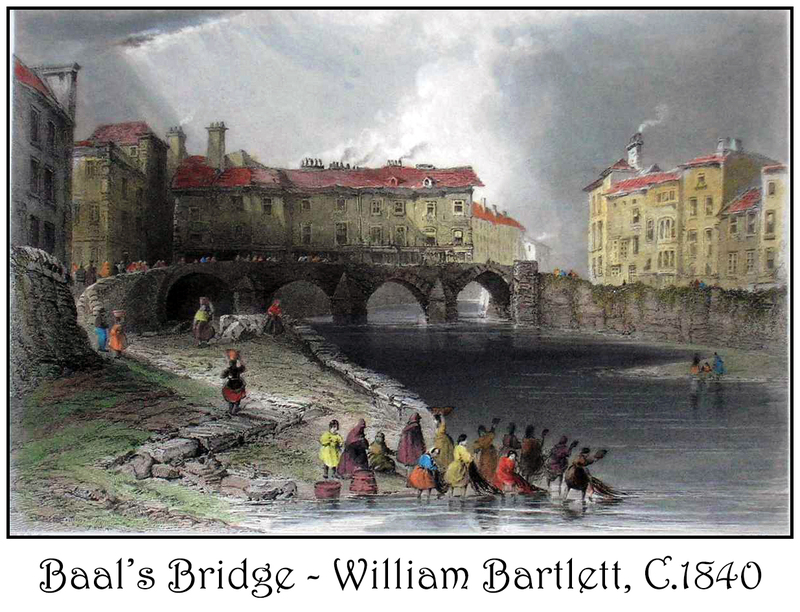 Also in the early 19th Century there was much uninformed speculation that such bridges were called after Baal, a Pagan God, but the name most frequently used is Ball’s Bridge. There is a benchmark on Baals Bridge. The modern structure was designed by the Pain Brothers and built in 1831, this single arched bridge replaced a four arched bridge which had stood in the same spot since about 1340. The older structure had a row of houses incorporated into it and by the early 19th century these houses were beginning to collapse.